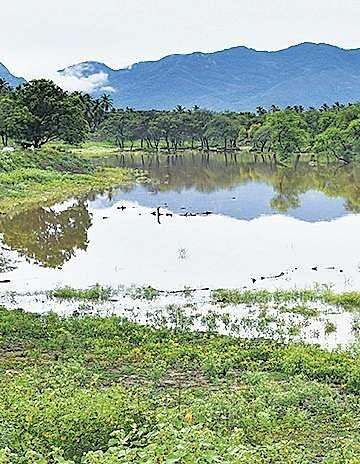 BENGALURU: With the Karnataka government urging the Centre to constitute another committee on the declaration of Ecologically Sensitive Area (ESA) of Western Ghats, the Centre is likely to come up with another draft notification. With Karnataka rejecting the draft notification, the Centre had asked the state to form a state-level committee to readdress the issue. However, the state booted the proposal and asked the Centre to take up the issue at its level. The declaration of ESA of Western Ghats by the Centre has met with total opposition from the Karnataka government while the remaining five states have tentatively agreed with some changes. In the background of rampant and unchecked development in Kodagu and Kerala which suffered immense flood and landslide damages, both the Madhav Gadgil (2011) and Kasturirangan (2014) committee reports on Western Ghats have gained significant importance. Added to this, the National Green Tribunal has directed the Centre not to reduce the ESA area and stick to the Kasturirangan report and issue the ESA notification. However, the state government has told the Centre that under different provisions of Reserve Forest, Protected Areas (PAs) and Eco-sensitive Zones, the state is already regulating about 22,000 sqkm (more than the area recommended by the high-level working group) in the Western Ghats region of the state under different Acts, Rules and Regulations. Considering the apprehensions of the people, another layer of protection in the form of ESA may not be needed. Forest officials further add that unfortunately there are a lot of misconceptions about the reports and this has added to the stalemate. “The Kasturirangan report talks of incentive, so lets provide it. If incentives are added, more villages will like to be part of ESA.” Earlier, the Centre had sought the opinion of Karnataka, Kerala, Maharashtra, Goa, Gujarat, and Tamil Nadu on ESA for issuing final notification based on the Kasturirangan Committee report. And the deadline for this was August 25. In this background, the Centre had set up the high-level working group. The state government rejected the recommendations of the high-level working group of the Ministry of Environment and Forests which had recommended an area of 20,668 sqkm with 1,576 villages as ‘ecologically sensitive’. Even after the re-publication of the draft, the state once again rejected and requested the Centre to withdraw the draft notification. The draft notification prohibits only five categories of new and/or expansion projects/activities having maximum interventionist impact on Western Ghats ecosystems namely mining, quarrying and sand mining, thermal power plants, building and construction projects of 20,000 sqmt area and above, township and area development projects with an area of 50 hectares and above and/or with built up area of 1,50,000 sqmt and above and red category of industries.